That brings back memories. And also shows how sculpting has indeed progressed over the intervening years. Sure has. I often wonder what happened to all those thing minifigs armies. Everyone had one in the 80s. Great to see Brian! 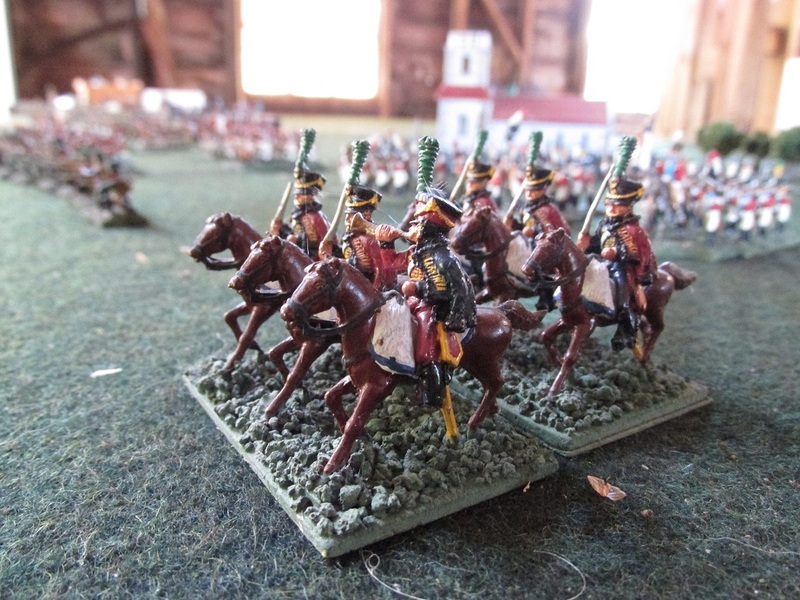 I too used to have great stacks of Napoleonic Hinchliffe and Minifigs!! I’m feeling quite nostalgic now. 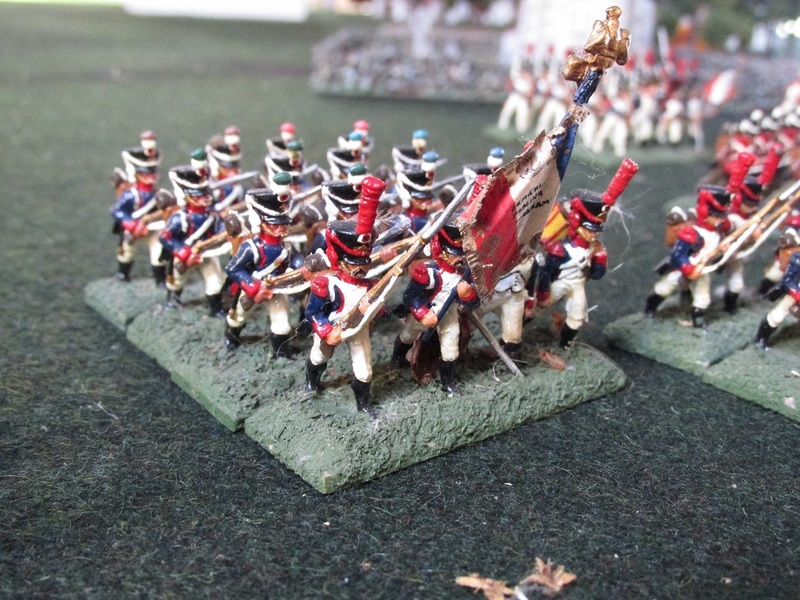 Hinchcliffe was my main go for Napoleonics, and Minifigs for Ancients. 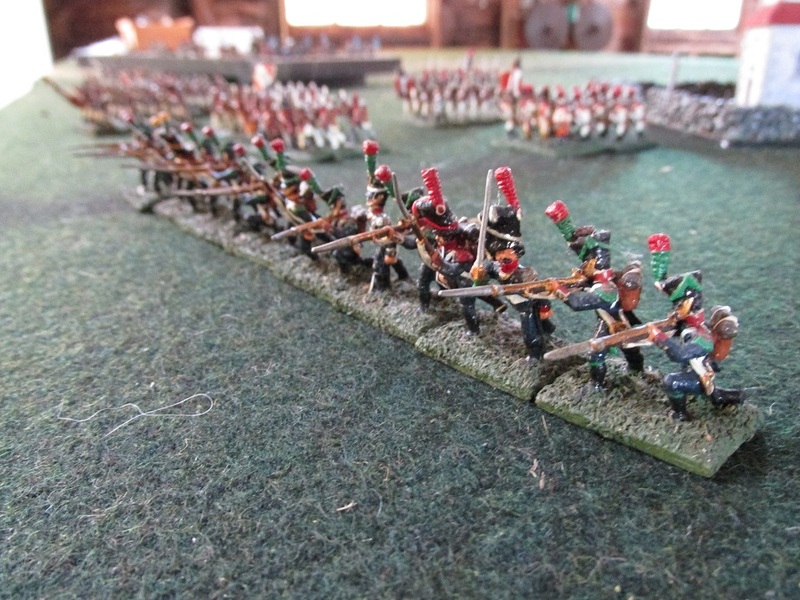 Those figures with the bearskin on the bayonets must have attracted some attention back in the day. 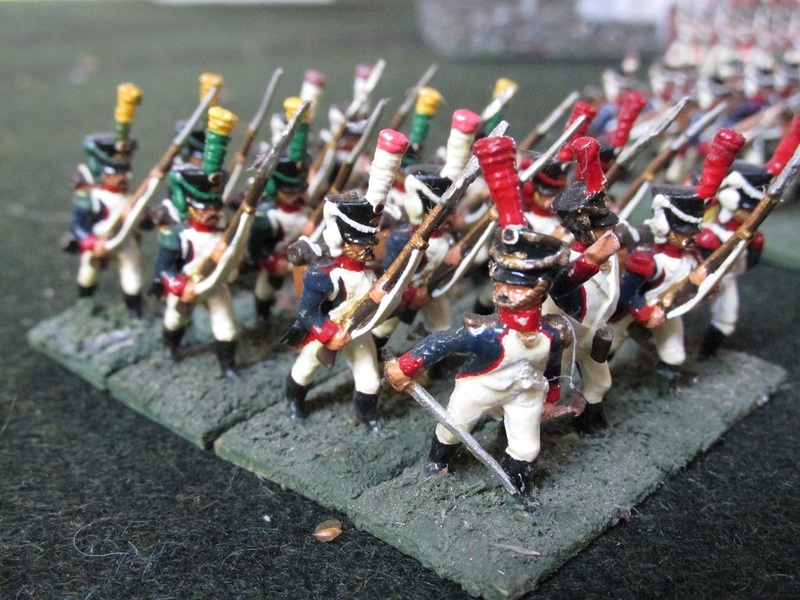 I suppose we simply call them “animated” now, but I can vaguely recall that anything apart from the usual march attack, high porte advancing or firing poses was quite the novelty. Great times indeed. 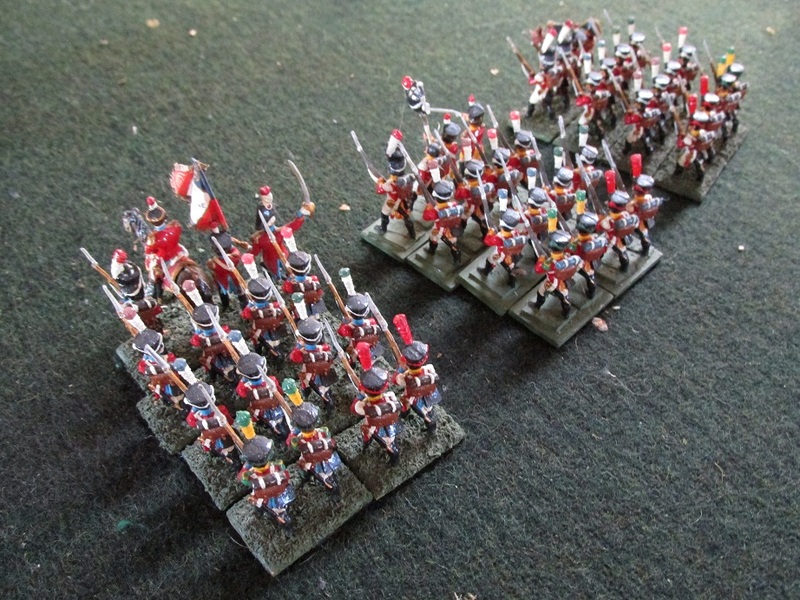 My Napoleonic MiniFigs armies are still in use. In fact we are planning a big battle next month! That is excellent. 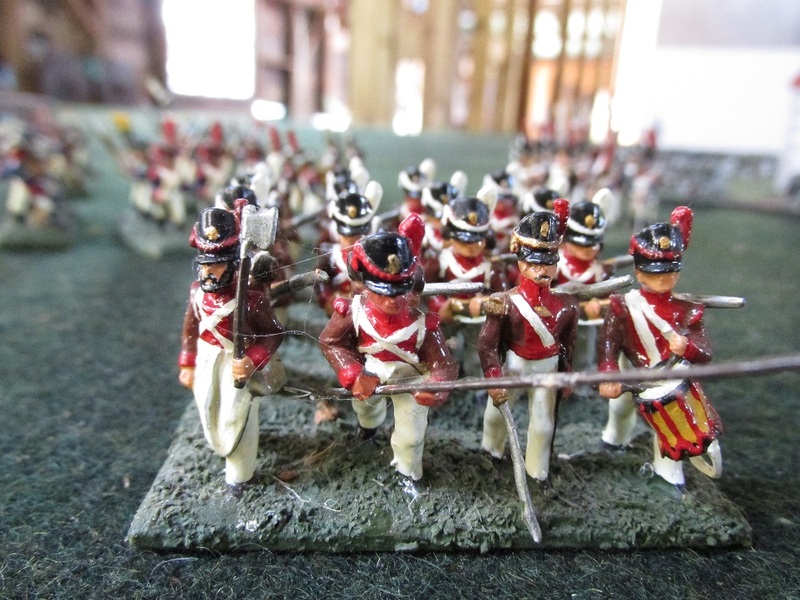 There used to be dozens of Minifigs Napoleonic armies here in NZ but I don’t see them that often nowadays. Saying that though, at our big Leipzig game a few months back our Napeoleon, Steve Sands, brought out a lot of them from his collection. Great article, but the nosy visitor had me laughing! Well he is going to be freezerised in the next few months. 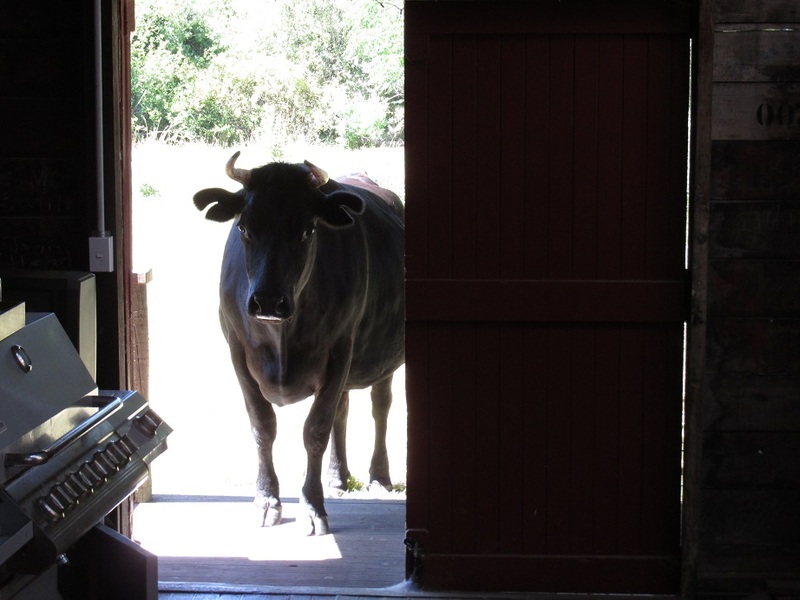 He is a very inquisitive steer. Seems a shame, he shows so much initiative! I enjoy these cattle. They are a lot of fun, believe it or not. But they are not pets. Sheep on the other hand – I find it hard to like them. I think they look just fine. ALL of my “new” Minifigs (i.e., circa 1974 and later) remain in service and take the table proudly along with their newer fellows from Old Glory, Sash and Saber, Foundry, etc. Front Rank is pushing the envelope, but as long as they are in their own units, i still works. Great to hear so many of the old school models are seeing battle. 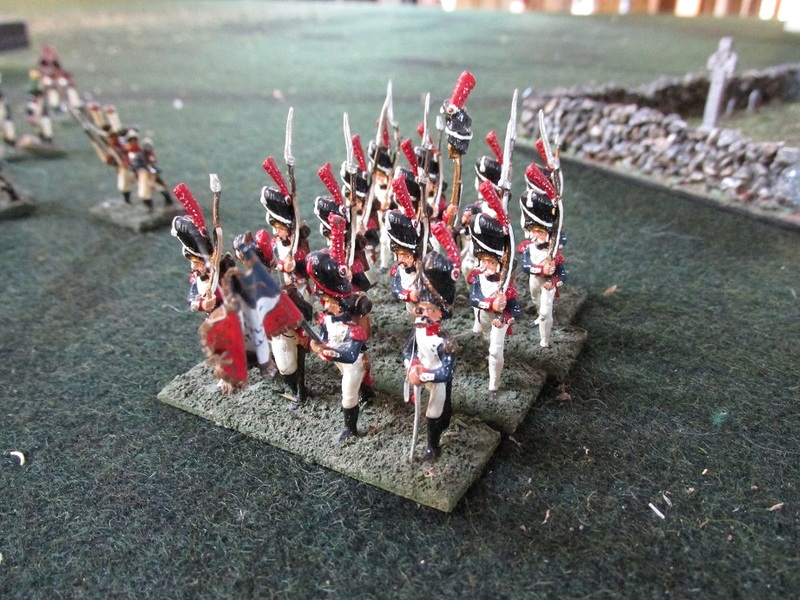 I am planning on rebasing some of mine – will show the fruits of that labour in due course. Well you did that a few times. You used to call them my French Ogres if I remember correctly.